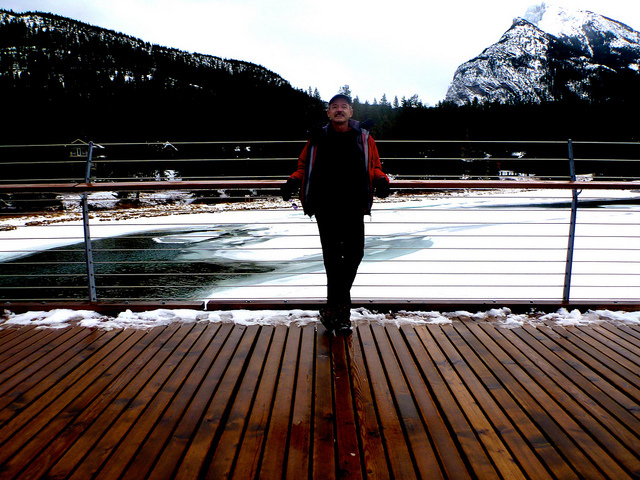 I stayed a February night in Banff, one of our top 10 hiking towns in the world. Wanting to do some day hiking, I stopped by the National Parks office for advice. 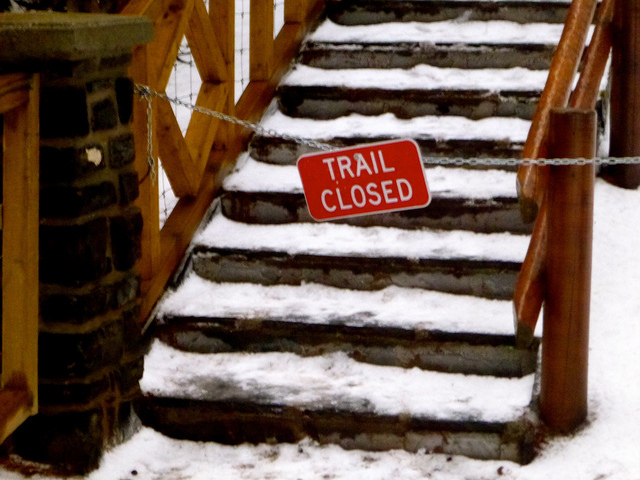 Unfortunately, the local trails are a mess in winter. Snowy, icy and often CLOSED. 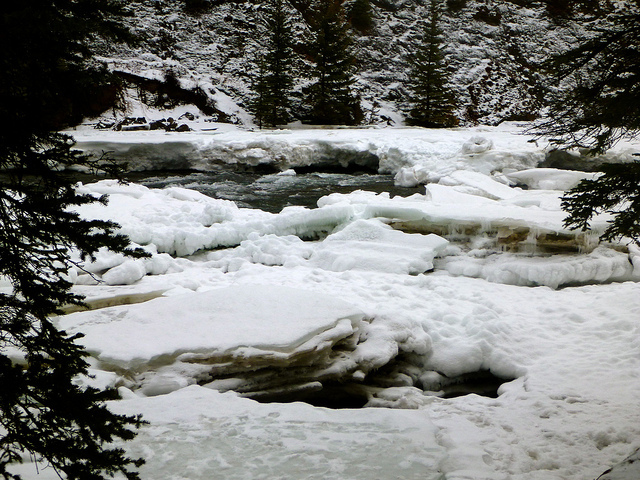 I still managed a short afternoon walking from town to the Banff Springs Hotel. Shortly after I gave up. And caught the bus up the mountain to the Hot Springs. This entry was posted in hot springs, snow and ice by Rick Mc. Bookmark the permalink. Hey Rick, you should have kept going to Jasper! All kinds of winter hiking here. Just bring some ice cleats, and you’re set. And our hiking trails aren’t closed either! Which goes to show that Jasper deserves a rightful spot on that top 10 hiking towns in the world.